i posted this too..happy diwali. 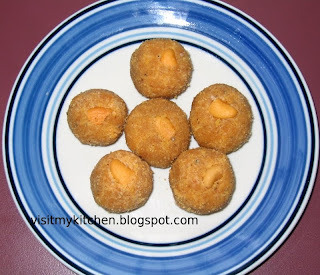 Yummy ladoo sowmya.. collect your award from my blog dear! Delicious ladoos Sowmya... has come out perfect and nice sweet for Diwali. Wish you and your family a Happy Diwali !!! Yummy Laddoos Sowmya. A healthy sweet and looks lovely. Wish you a Happy Diwali Dear!